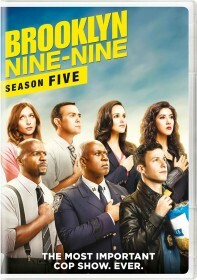 FOX has released the synopsis for the May 2 episode of Brooklyn Nine-Nine, "Moo Moo". Desmond Harrington (Dexter) guest stars in the episode, while Merrin Dungey reprises her role as Sharon Jeffords. Sergeant Jeffords is stopped by a fellow police officer (guest star Desmond Harrington) while off-duty in his own neighborhood. When the incident escalates, Terry wants to file an official complaint against him, but Captain Holt has other ideas. Meanwhile, Jake and Amy get a glimpse into the difficulties of parenthood and answer some tough questions when they babysit Terry's kids in the all-new "Moo Moo" episode of BROOKLYN NINE-NINE airing Tuesday, May 2 (8:00-8:31 PM ET/PT) on FOX.